The REWEAR NYC baby carrier gives a whole new meaning to the term “mom jeans.” Made entirely from recycled denim, these baby carriers enable moms to be both hands-free and fashion conscious. Made with love in NYC, REWEAR sources materials locally from charities and averts textile waste destined for the landfill. The carrier’s wide padded shoulder straps, pocket for storage, and adjustable straps are designed for both comfort and safety standards. Take a look at these one-of-a-kind sustainably styled carriers that coordinate with whatever look you’re wearing for the day — after all, jeans go with everything! “I like the idea that the baby carrier is linked to a garment, seeing that you wear it everyday you want it to have similar features to a garment, so I made the carrier from my old favorite jeans and my husband’s T-shirt. We both made the baby, so I thought it was nice to have both of us in the carrier,” says designer Ellen Pande-Rolfsen on her website. REWEAR is a member of the Baby Carrier Industry Alliance. Each product has been crafted with sterilized recycled jeans and is reinforced to hold its shape from repeated washing and cleaning. Foldable to fit compactly in your bag, the carrier holds baby close to your heart and supports children between 8 – 35 pounds. 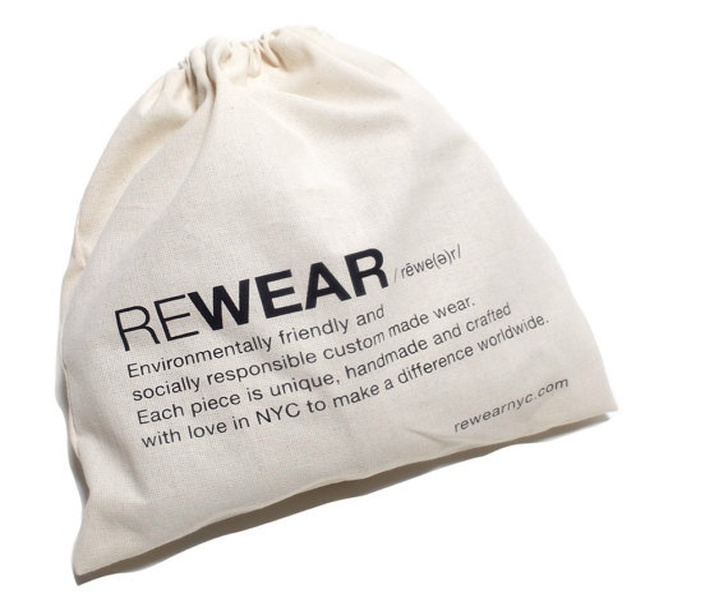 Learn more and shop the REWEAR collection, or donate your old jeans at www.rewearnyc.com. 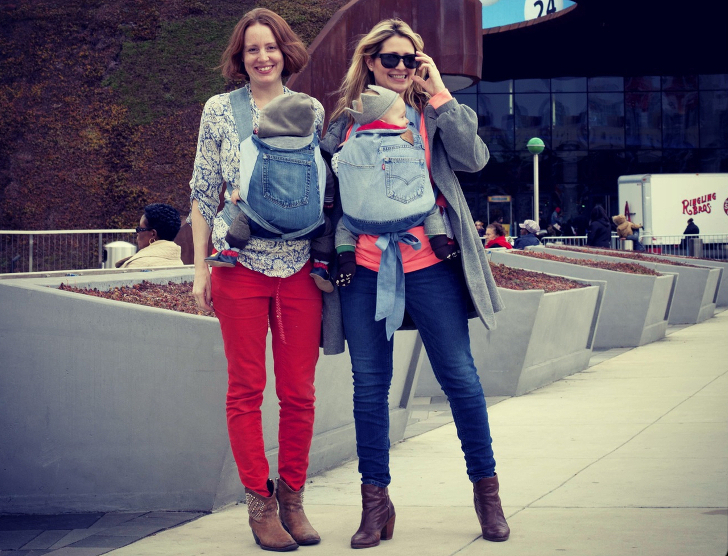 The REWEAR NYC baby carrier gives a whole new meaning to the term "mom jeans." Made entirely from recycled denim, these baby carriers enable moms to be both hands-free and fashion conscious. Made with love in NYC, REWEAR sources materials locally from charities and averts textile waste destined for the landfill. The carrier's wide padded shoulder straps, pocket for storage, and adjustable straps are designed for both comfort and safety standards. Take a look at these one-of-a-kind sustainably styled carriers that coordinate with whatever look you�re wearing for the day -- after all, jeans go with everything!